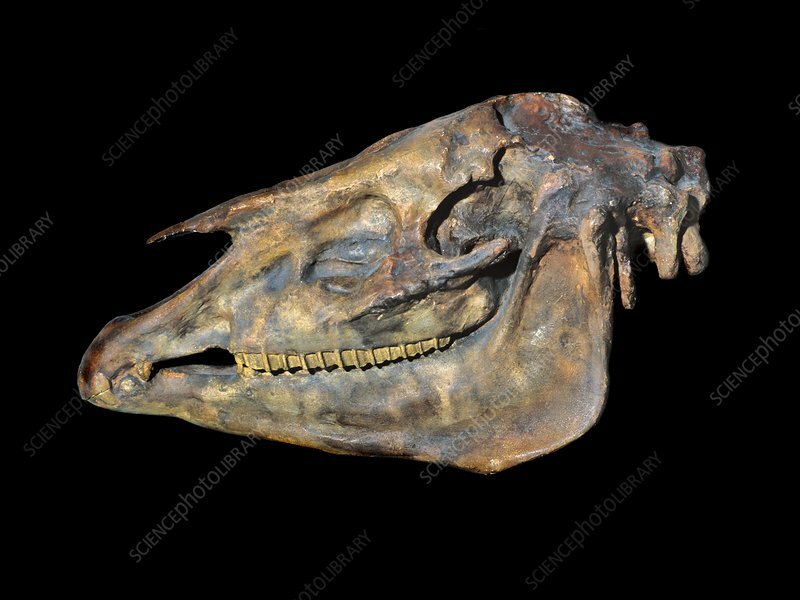 Prehistoric horse skull. Fossilised skull of an Hipparion gracile horse. Hipparion sp. horses lived in North America, Asia, Europe, and Africa during the Miocene through Pleistocene epochs (around 23 million to 781,000 years ago).